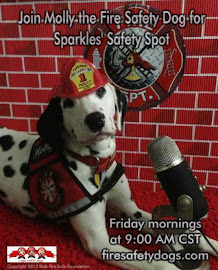 Fire Safety Rocks: Sparkles the Fire Safety Dog's Spot Now Open! 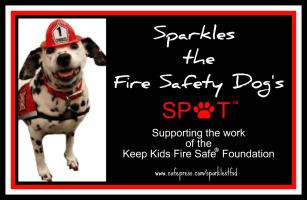 When you shop at Sparkles' Spot, a portion of the proceeds will benefit the Keep Kids Fire Safe Foundation. 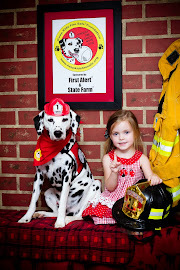 Keep Kids Fire Safe Foundation is dedicated to helping keep children fire-safe. 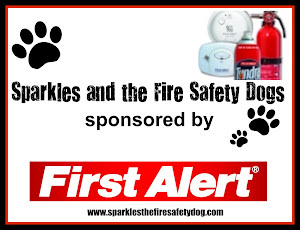 The foundation provides fire safety resources for children, parents, fire departments, schools and organizations at little or no cost. 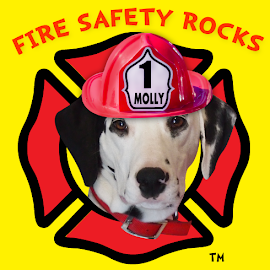 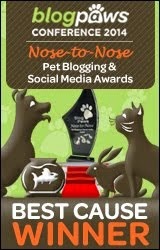 Click on the "New Section" button on the site to see exciting Sparkles the Fire Safety Dog items! 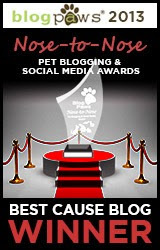 The beautiful artwork was done by artist Dean Russo.